Be ets are the bomb. There are so many benefits of beets – they are highly nutritious, you can eat almost the entire plant from root to leaves, and they taste delicious. They are all nutrients – fiber, vitamins, minerals, and anti-oxidants. Helping to decrease risks of cardiovascular disease while also giving you doses of Vitamin C and B. Last year I seeded beets and they never got much bigger than about 2 inches around. I decided that I spaced them to closely together and did not thin as early as I should have. This year, I gave them more space (I planted 4/square foot) and thinned as soon as the plant was about 2 inches high. 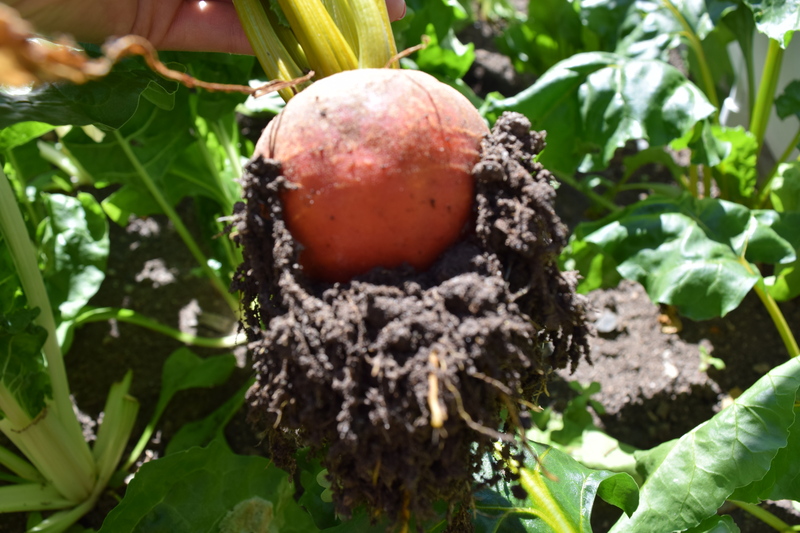 I planted golden and red beets and both have grown larger than my beets last year and taste delicious. There are so many ways to eat and cook with beets. I have wrapped my beets in tinfoil and roast them. Then I peel off the skin and use them in salads, shakes, or other dishes. I have recently started to boil them in water, peel the skins, and then use them. It is always fun to use as much as you can from your garden to complete a dish or salad. 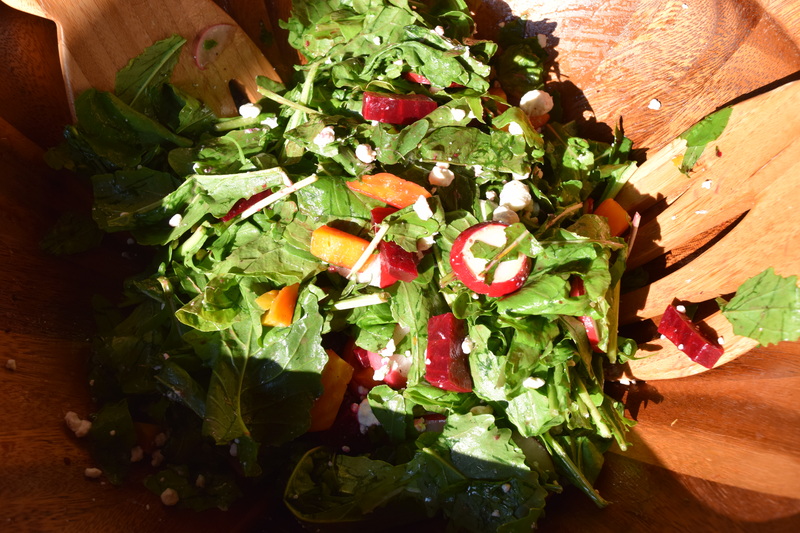 I recently made a salad of arugula, beets, radishes, and goat cheese. Of which, all was sourced from the garden except for the cheese. Try experimenting and you are bound to make nutritious, yummy, and colorful dishes. I made a simple dressing of olive oil, dijon mustard, lemon, and salt and pepper – I would also suggest the dressing in the roasted beet and goat cheese salad recipe listed below. Previous When is spinach done for the season?